Posted July 11, 2012 by Josette Farrell in News. The Gaeltacht region east of Galway city, which is centred on Claregalway, is to retain its status, despite claims that little or no Irish is spoken there. A prominent Irish language activist and researcher has called the Claregalway situation a “charade” and argues that there is no evidence in the census returns to indicate that Claregalway merits its designation as a Gaeltacht—and that the same is true for many other areas. The Gaeltacht Bill 2012, which is currently before the Oireachtas, states that all areas “currently within the Gaeltacht ” will retain their status. In Galway City, Tirellan and Knocknacarra will continue to be officially classified as having Gaeltacht status, despite the fact these areas were classified as such in 1956, long before they were incorporated into the city and developed. 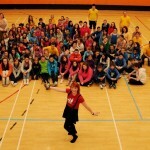 Knocknacarra does have a Gaelscoil, but Claregalway does not. 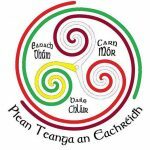 Irish language activist Donncha Ó hEalaithe has pointed out that the 2011 Census shows there is very little Irish spoken in Claregalway and he has called for steps to be taken to ensure that only areas where real evidence of Irish being spoken exists, should be classified as having Gaeltacht status. He argues that in this way a truer picture of the actual strength of the language can be obtained and, in the process, money would be saved. It would also facilitate the focus of resources on areas where there is a real hope of promoting and fostering the Irish language. The Gaeltacht takes in Claregalway and extends south to near Oranmore, which has a Gaelscoil, but is not in the official Gaeltacht. The area takes in Clonboo and Corrandulla and extends as far as the shores of Lough Corrib. The Gaeltacht Bill 2012 has taken twelve years to prepare but it does not plan to revise any of the designations set down in 1956. This is despite the fact that is is accepted that at least half of the areas included in the report no longer have any substantial numbers of Irish speakers. In 2004 Galway County Council opposed a planning proposal for a large development in Claregalway on the grounds that it was a designated Gaeltacht. The latest figures from the Department of the Gaeltacht reveal that there is not one family out of the 170 families with school-going children in the Claregalway area which managed to satisfy the department officials that it was Irish-speaking. Why go on with the charade that Claregalway is in the Gaeltacht? While Claregalway was designated as being with the official Gaeltacht, Mr Ó hEalaithe said the report of the Inspector of An Bord Pleanála stated that Claregalway displayed none of the characteristics of the stronger Irish-speaking communities, and added that the area lacked “any definable entity as a Gaeltacht area”. Now Donncha Ó hEalaithe fears that Section 7 of the new Bill means areas currently within the Gaeltacht will retain Gaeltacht status, irrespective of where Irish is actually used. He is calling for the Bill to be delayed for a few months to allow time to iron out anomalies. 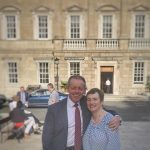 New Ministerial Appointment – Sean Kyne. 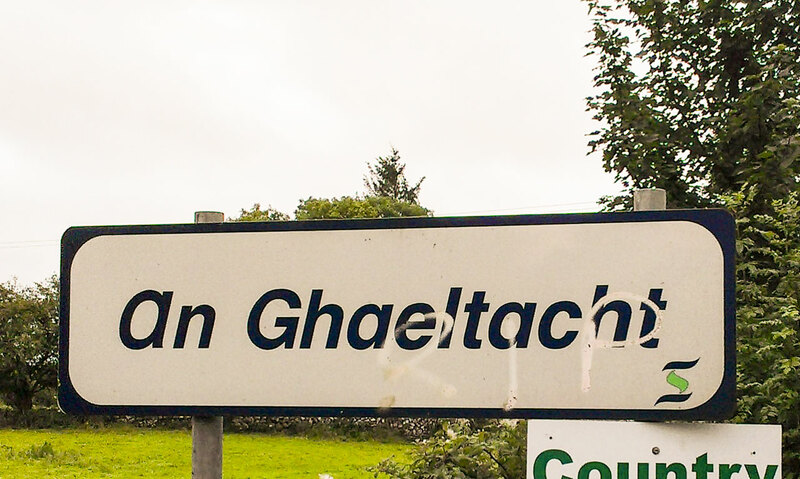 The sign on the N17 signifying Claregalway as a Gaeltacht, which has been sprayed with the acronym RIP.